That underperforming or intractable employee may be a bigger problem than you think. Studies show that such employees have a deleterious effect on the workplace. When managers fail to deal effectively with problem employees the problem spreads, leading to diminished productivity (as much as 30-40%), higher turnover, and lower morale in the office. Unfortunately, managers are too often reluctant to tackle the problem. Sometimes the employee is a solid performer but difficult to get along with. 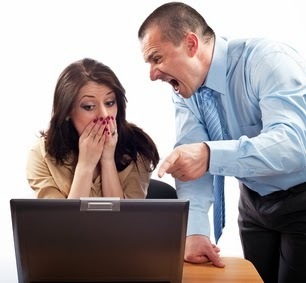 Sometimes the blame for conflict with coworkers is hard to assign. More often, managers are simply putting off the unpleasant task of confronting the offending colleague. Get involved early. When you procrastinate, the problem often gets worse. It's like dealing with an infection; early intervention prevents it from worsening and spreading. But left untreated, even a small infection can grow and cause serious damage. Early involvement is particularly important when interactions between the employee and others are strained. Don't underestimate the potential for unresolved issues between people to escalate into a problem that's far more difficult to correct later. Get feedback from others. The objective is to make a fair assessment of the employee's shortcomings. Don't rely on a handful of complaints, or a perception that isn't validated by the facts. If the perception is that the employee makes too many mistakes, document what mistakes have been made. If you think the employee is difficult to get along with, see if others concur. But a warning: Don't ask leading questions or spread gossip. You don't want to bias the feedback you receive or make matters worse. Carefully inform the employee of the problem. How you frame the problem when addressing the employee sets the tone for the path forward. If you come across as confrontational or critical, it will be harder to get the employee to respond in constructive fashion. Try to stick to the facts without adding commentary. If your conclusions are subjective, state them in a manner like: "My perception is..." or "I've gotten feedback that..." Focus on behavior and outcomes without impugning the person's character or motives. While you're striving for objectivity, people's perceptions cannot be ignored. In the realm of human interactions, perception is reality. The offending employee may want to dispute the claim that he comes across as dismissive to coworkers, but the only resolution is to change those perceptions. On the other hand, it's not uncommon to find that others share the blame for problems with the employee in question. The remedy will often involve other people. Distinguish between can't and won't. An employee who lacks ability is a far different problem than one who has a poor attitude. In many cases, the latter is a more difficult challenge. Determine which is the case by exploring with the employee the reasons behind her actions. Typically, this will involve asking "why" questions. Keep in mind that the employee may be reluctant to tell you the real reason why. So if you suspect she's holding back, probe further with nonthreatening questions like: "Can you describe the steps you take to check your work?" or "Is there a reason that you find it hard to work with him?" Explore unintended reinforcers. Behavior is a function of its consequences. So if you want to understand why undesirable behavior persists, you want to look for consequences that have unintentionally reinforced that behavior. For example, the employee may ignore some quality control steps because the firm places greater emphasis on meeting schedule. Being short with coworkers may reduce interruptions. Unless you address these reinforcers, the problem employee will probably struggle to make the desired behavioral changes. Remember, what gets rewarded gets repeated. Develop a performance improvement plan. There are three basic components of this plan: (1) desired outcomes, (2) action steps, and (3) implementation support. Having characterized the problem and its sources with the employee, you then want to specify what changes you need to see. The more specific and measurable, the better. Next define the actions needed to achieve those outcomes. It's best to let the employee take the lead in doing this, because he will be more likely to take steps that he has chosen. Finally, don't overlook determining how you will support and reinforce those actions. As noted above, you'll want to address old reinforcers and establish new ones. You also will need to prescribe tasks like training, mentoring, feedback, and measurement. Help the employee succeed. If you have intervened appropriately and helped set a course of action to address the employee's shortcomings, your job is not done yet. You want to help the employee make the needed changes. Perhaps that's assigning another manager to oversee the process. But even if the responsibility falls mainly on someone else, you should have a role if you were involved in the steps above. That may be as simple as checking in occasionally with the employee (and whoever is tracking her improvement) to determine what progress is being made. Or you might take a more hands-on role, for example, providing training or mentoring. You will do well to embrace the principles of positive reinforcement. If performance doesn't improve, be willing to terminate. For many managers, firing an employee is the last resort. Yet in many cases, they would be better off to resort to this action earlier. Those negative effects on other employees mentioned earlier? They can intensify if your efforts to remediate a poor performer fail and no further action is taken. Termination of a problem employee not only benefits your remaining staff, but in many cases is beneficial for the one let go. Sometimes the employee is a poor fit and can find a better situation elsewhere. Sometimes she learns some valuable lessons from getting fired. The key point is as a leader you need to take action when an employee is detrimental to your goals and culture. If intervention and corrective actions don't work, then don't sacrifice the welfare of the company or office for the sake of one person. No one individual is more valuable than the whole.